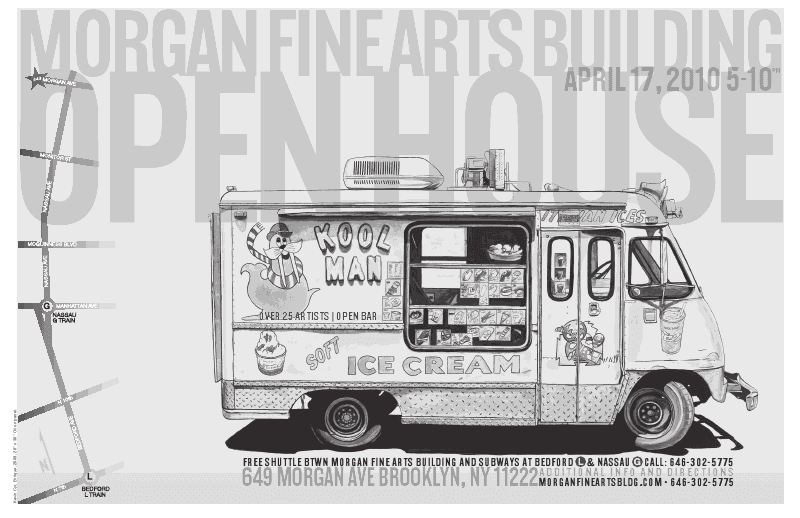 This evening, the Morgan Fine Arts Building (649 Morgan Avenue) in Greenpoint hosts its 6th Annual Studio Open House. From 5PM - 10PM, 30 separate artist studios on five floors of the building will be open to the public. The event will also include an open bar with complimentary wine, beer and bottled water.